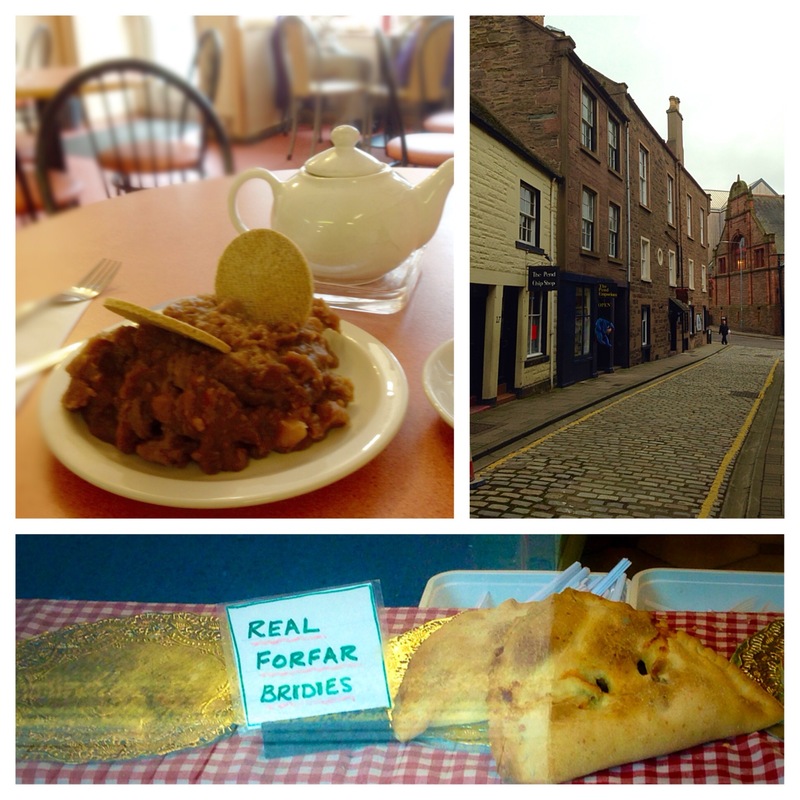 Stopping in the Scottish town of Forfar, famous for the alliterative football results (Brechin City three, Forfar four) and looking for lunch, I eschewed the town’s other claim to fame, the Forfar Bridie – a type of pasty. I was on a mission for something else and I found it in Kenny’s Cafe on the High Street- stovies. Stovies are a typically North East dish. No two people or their grannies make them quite the same way. Some say beef, some say lamb, but what they all agree on is meat, potato and onion boiled in stock for days until they resemble an unappetising brown sludge. The stovies are then ready to serve garnished with oatcakes, and some say (but not I) beetroot on the side. Stovies are perfect for adding a layer of internal insulation on a cold day, or for providing a protective shield for copious alcohol consumption, or after said consumption. Think of them as the Scottish equivalent of the kebab, but without the salad and garlic sauce. Aussies could add a dash of tomato sauce if they really have to (but don’t let anyone local see). There’s not much reason to visit Forfar, although nearby Glamis (pronounced “Glams”) Castle was the Queen Mum’s childhood home and, according to Shakespeare, Macbeth’s lair. Funnily enough, I was on my way to McDuff, Macbeth’s nemesis (oops, gave the plot away). For me the stovies were reason enough for a detour. Hardly ever ate stovies but, bridies, there’s a memory. Many a lunch in the Agri canteen in Aberdeen I munched on bridie, beans and chips. Yum, yum. Ha! You missed out, mate (maybe).